The North American Headquarters for Limagrain Cereal Seeds announced the opening of its all new Quality Lab. Hayley Butler is the organization's Quality Manager and will operate the Lab, located in their Fort Collins, Colorado facility. Limagrain Cereal Seeds, the US subsidiary of Group Limagrain, one of the world’s largest breeders and developers of wheat varieties, has opened a new, state-of-the-art wheat quality laboratory at the company’s U.S. headquarters in Fort Collins, CO. 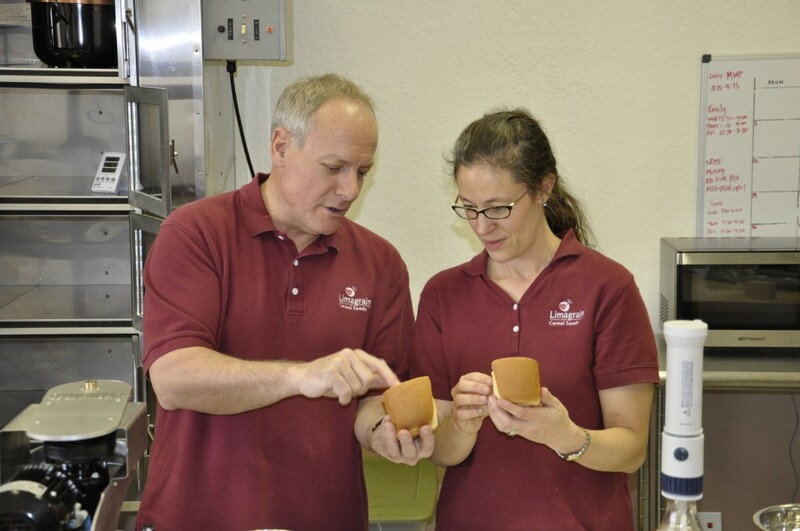 The quality laboratory and test bakery, under the supervision of Hayley Butler, LCS Wheat Quality Manager, will test select wheat varieties from across the U.S. for a multitude of baking characteristics. The lab-bakery features a range of high-tech equipment, including a machine that measures Single Kernel Hardness to determine whether a wheat variety is better for bread-making (hard wheat) or cookie dough (soft wheat). Also prominent in the quality lab is a Near-Infrared Reflectance Spectroscope that uses invisible spectral energy to illuminate wheat samples and gather information on such characteristics as protein and moisture content. The quality lab adds an aromatic bakery atmosphere to the LCS headquarters facility, producing a stream of mouth-watering 100-gram “pup loaves” that reveal the loaf volume and rate crumb structure of each oven-baked wheat variety. Butler, a fourth-generation Colorado native with a master’s degree from Colorado State University, ran CSU’s wheat quality lab and trained with USDA cereal chemists in the university’s wheat breeding and genetics program. Butler said she is proud to be heading up Limagrain’s wheat quality laboratory. “Limagrain has been awesome in providing the most modern equipment for me to use, and I’m happy to be producing quality data for LCS breeders,” she said. Limagrain opened its U.S. headquarters in Fort Collins in April 2011. Group Limagrain was founded in France in 1942. The farmer-owned company has 7,000 employees and is the largest seed company in the European Union. Fort Collins, Colorado, serves as the North American headquarters of Limagrain Cereal Seeds, the newest subsidiary of Group Limagrain. LCS has regional research stations in Washington, Indiana, Minnesota and Kansas. Visit http://www.limagraincerealseeds.com.